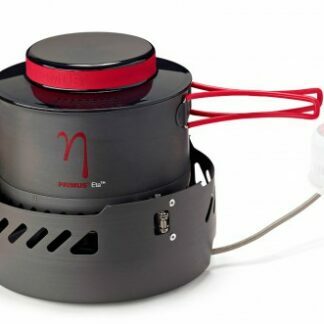 A stove designed to stand the elements. 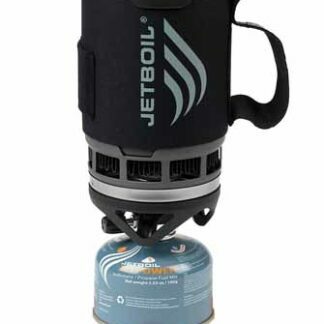 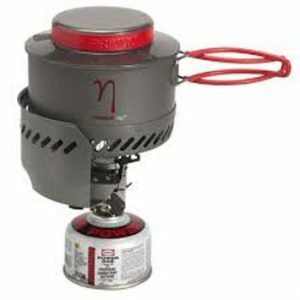 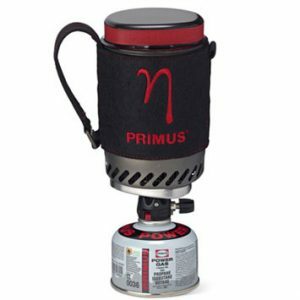 Designed with an innovative Wind Block system and a down-step burner design, this stove gives you superior cooking performance even at extreme wind. 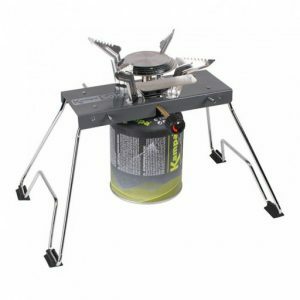 The Solo Single Burner Stove from Kampa featuring a 3.8kW stainless steel high speed burner, stainless steel thermal shield and steel folding legs with rubber anti-slide feet. 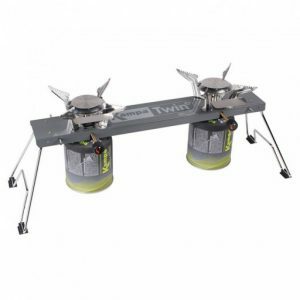 The Twin Double Burner Stove from Kampa featuring 2x 3.8kW stainless steel high speed burners, stainless steel thermal shield and chrome folding legs with rubber anti-slide feet. 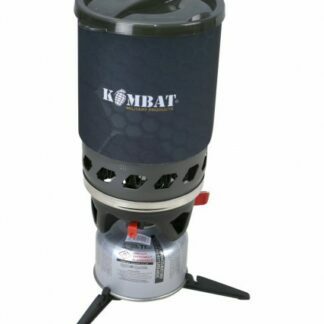 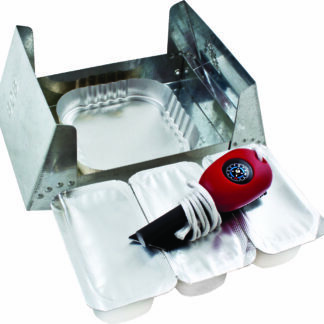 The KombatUK Cyclone Stove is a fast boiling windproof stove that has a 1.1L cooking pot with a butterfly design silicone handles. 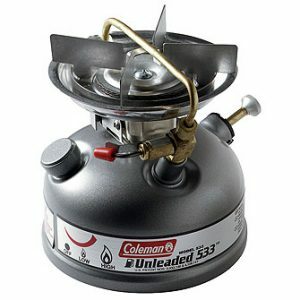 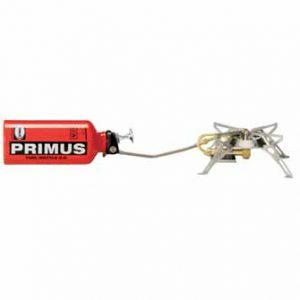 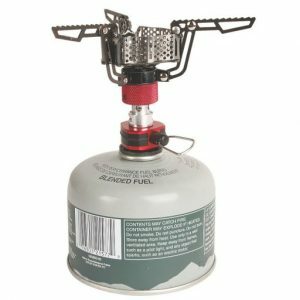 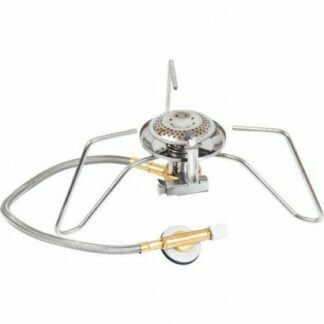 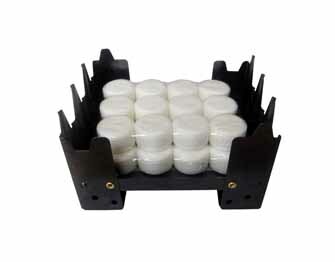 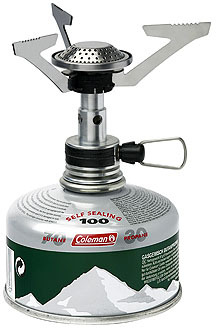 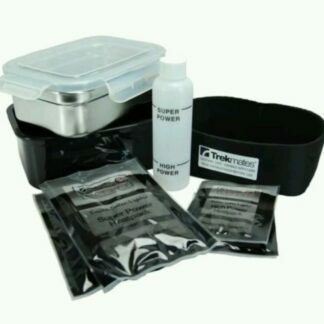 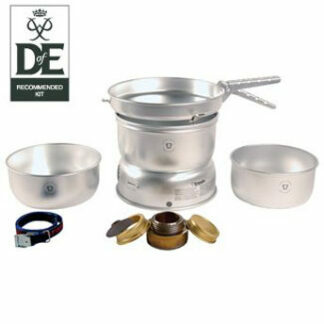 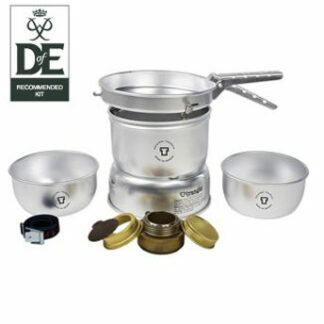 It can be used with the cooking pot or as a simple burner stove.